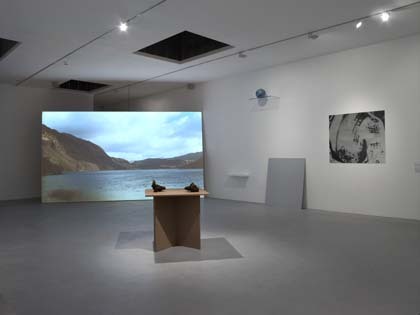 Curated by artist Simon Starling, 'Never The Same River (Possible Futures, Probable Pasts)' brought together the work of 30 artists and designers revisiting shows and past fragments from the Camden Arts Centre's 50 years history. 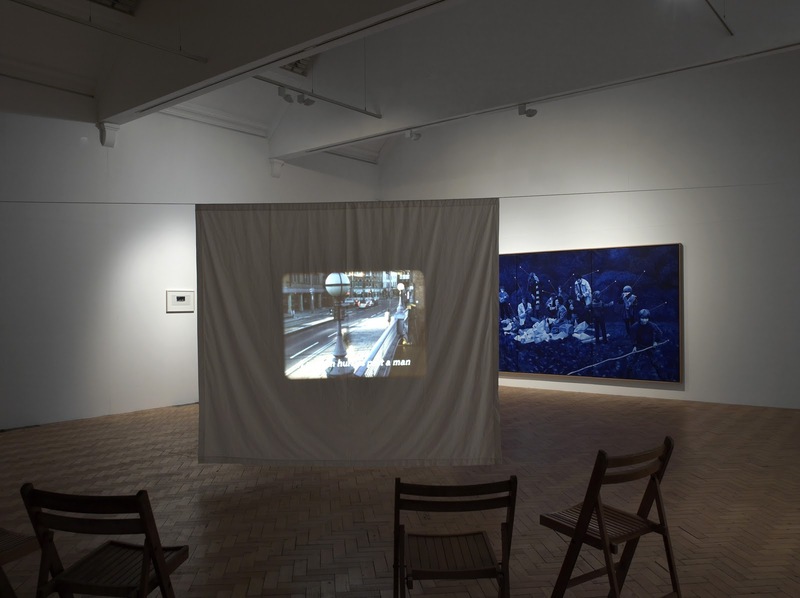 The works were installed back into the same sites they previously occupied, and Starling also introduced new works by artists as an imagined future for the Centre's exhibition programing. 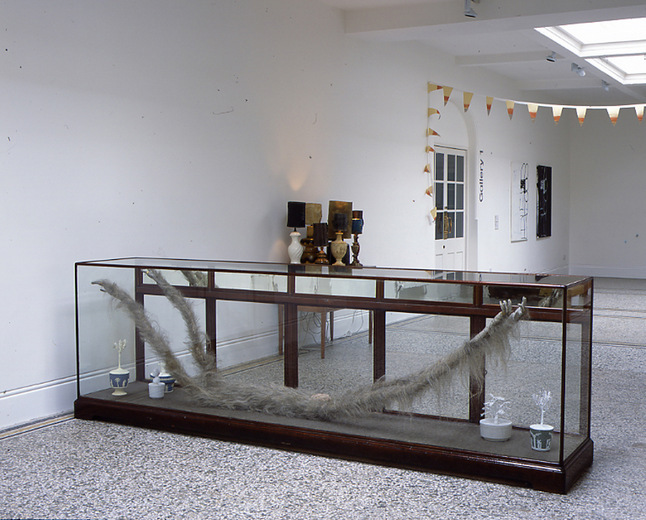 Starlings curation is a confusion of time, conflating different eras of exhibitions into one moment whilst the spatial qualities remain the same. The size able amount of research that must have gone into the project alludes to the evolution of art and design through the process of exhibition making. As Starling orchestrates "a series of collisions between the works" we encounter often awkward placements of works as they fall almost on top of each other.